If you are a single user and want to use Linux and Windows both OS then probably you may not want to spend money on another keyboard, mouse and monitor. I explored few options to save hardware cost if you want to have similar setup. I am embedded electronic hobbyist and I use Linux to compile u-boot and Kernel images. When you already have windows machine then probably you don’t want to go for another one. You may prefer to use single machine for both Linux and Windows. I will mainly discuss below three options to use Windows and Linux simultaneously. A. Create Windows + Linux dual booting system. B. 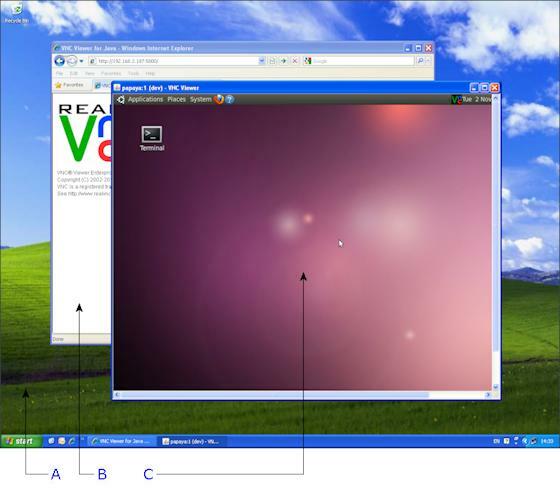 Use windows application like virtual box to create virtual linux system running on windows OS. C. Buy seperate Linux system. If you are going with A then you won’t be able to use windows and linux simulteneously. But it saves money and you use full harware resources efficiently. If you are going with B you can use both OS simulteneously but it will be too slow. If you are ready to spend some money then you can go with option C. You just need to buy CPU. You don’t have to buy Keyboard, Mouse and Monitor. I worked on dedicated linux machine for almost 4 years So I didn’t find myself comfortable with option A and B. Hence I decided to go with dedicated machine. I didn’t spend much and purchased Atom based system. I am not saying option C is better than A and B but I was more comfortable with it. You can go with option A OR B. If you are going to use seperate linux machine like me then you don’t have to buy another keyboard, monitor and mouse. You can use one of the following option. A. KVM switch – Keyboard Video and Mouse (KVM) switch. It is simply muliplexer for CPU so that user can share K,V and M.
B. Use putty.exe– If you don’t want to spend money on KVM switch then you can use putty.exe to login into any linux machine connected on network. But during linux installation you will have to connect K,V and M to linux machine. But after that even if you restart linux you can login using putty. putty will only give you shell terminal and does not give you GUI. But it is more than sufficient if you are using it for embedded linux. C. VNC – You can also start VNCserver on linux machine. Download VNCviewer on windows and using IP address you will get GUI window. This is similar to virtual box but it is much much faster than that. But you need to start VNC server on linux- A server that means you need to restart it again after reboot. You can skip this step by running vncserver as service. Go to System—>Administrator–> ServicesSelect VNCSERVER and enable it. Now evenif you restart after booting vncserver will also start automatically. Desktop of a client computer running Windows XP. VNC Viewer for Java displaying the desktop of a host computer running Linux. I will recomend option B — putty to you. If you want GUI interface you can use VNC. I have KVM switch connected on my windows and linux machine but putty is so simple and fast that I hardly use KVM switch. I had purchased KVM to use between my Desktop and office latop. But it is really not worth for money if you are using for linux machine. Thanks to multiuser capability of Linux !! !